Last year was big for modular mobile devices – and not all of it was good news. We saw the interesting but disappointing LG G5 at the beginning of 2016. A few months later, Google announced that it was shelving its ambitious modular phone program, which was dubbed Project Ara. Could modular mobile devices really take off? Motorola certainly seemed to think so. 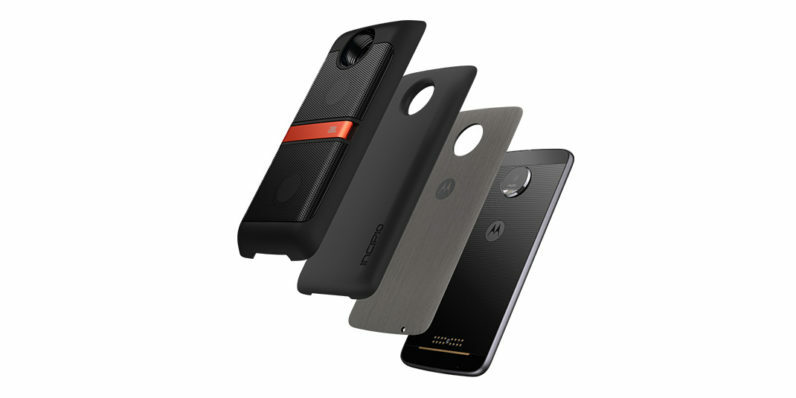 It debuted the Moto Z in June 2016, which featured interchangeable backs called Mods to add things like a Hasselblad camera, a JBL speaker, a projector and a long-lasting battery. We liked the concept and the actual device a whole lot. But could the Lenovo-owned brand figure out a way to keep the modular trend alive in the future? The numbers from Motorola’s research into the habits of its Moto Z customer base seem encouraging: About 40 percent of them own and use Mods, with an average of 2 mods per user. The company also noted that the JBL speaker and Incipio battery Mods get roughly two hours of use per day. Half a year since the launch of the Moto Z line of premium smartphones, the company is working to expand its Moto Mods program and bring indie developers and makers on board. The idea is to allow anyone to build Mods for Z phones with whatever functionality they have in mind. To that end, Motorola has hosted hackathons in several cities, and arrived in Bangalore, India today to meet with hardware developers and introduce them to the process of conceptualizing and building Mods. A recent event in New York saw ideas like a gamepad, a skin condition monitor and a DAC amplifier for high-resolution audio output take shape. The company is also running a global campaign on Indiegogo to source ideas from hardware devs and fund those projects. Motorola noted that it’s received plenty of interesting entries, and has already selected a handful of finalists from India. Most importantly, Motorola seems keen to develop its Moto Mods program beyond just a passing fad. Motorola’s VP Jan Huckfeldt said, “We are really committed to this piece of innovation,” noting that future Moto Z phones’ form factor and hardware interface will be identical to the current lineup, ensuring that Mods will continue to work with this range of devices for the next few years. Oh, and the company hasn’t ruled out adding on extra graphics and processing power. There are already a few such proposals from the Indiegogo challenge and it’ll be interesting to see if those come to fruition. According to Stephen McDonnell, senior manager for the Moto Mods Ecosystem, one of the main reasons for the shuttering of Project Ara was that it was simply an experiment geared towards developers who want to tinker with their devices, as opposed to the mass market. The Moto Mods program, he said, has a greater chance of success because of Motorola’s customer-first approach: Give people a phone that works great right out of the box, and then allow them the option to add functionality as and when they choose. Plus, McDonnell noted, unlike the fiddly LG G5 which requires you to turn off the phone and wrestle with its bottom to swap modules, Moto Mods only need to be snapped in place with magnets before they’re ready to use. That makes the Moto Z easy to adopt and stick with. Eventually, Motorola hopes to highlight all these add-ons in a Mod store. The company’s senior manager for the Moto Mods Ecosystem, Stephen McDonnell, noted that the store could launch around March or April, but it depends on when the company has a large enough range of products to showcase. In addition to offering technical assistance to developers who are building Mods, Motorola says it’s open to all sorts of deals to bring them to market – whether that means simply promoting a Mod on the store with a link to a regional sales channel, or collaborating on the design, manufacture and marketing efforts. Of course, it remains to be seen if Motorola can actually sustain interest – among consumers, hardware developers and within its organization – in its modular concept. Having a limited range of products that supports Mods certainly doesn’t help. And when you combine the cost of a Moto Z handset and a couple of Mods, you have yourself a pretty pricey package. The cheapest unlocked handset, the Moto Z Play, will set you back by $400. Add on the $300 Hasselblad True Zoom camera and the $80 JBL SoundBoost and you’re in iPhone/Google Pixel territory. However, it’s important to note that this is just the beginning of Motorola’s ambitious plan – and it’s done a great job thus far. If it can continue to release compelling phones and pique developers’ interest to grow a diverse ecosystem of Mods, it might well be the one to lead the charge in the era of modular phones.